We’ve just installed a brand-new biomass boiler at our factory in Essex as part of our drive to reduce our environmental impact. At a cost of £350,000, the new biomass boiler is a significant investment but will bring a host of benefits including improving the efficiency of our operations and reducing our impact on the environment. It has a much larger capacity than the existing biomass boiler it replaces, which will help us as we continue to expand our operations and invest in new machinery in the future. 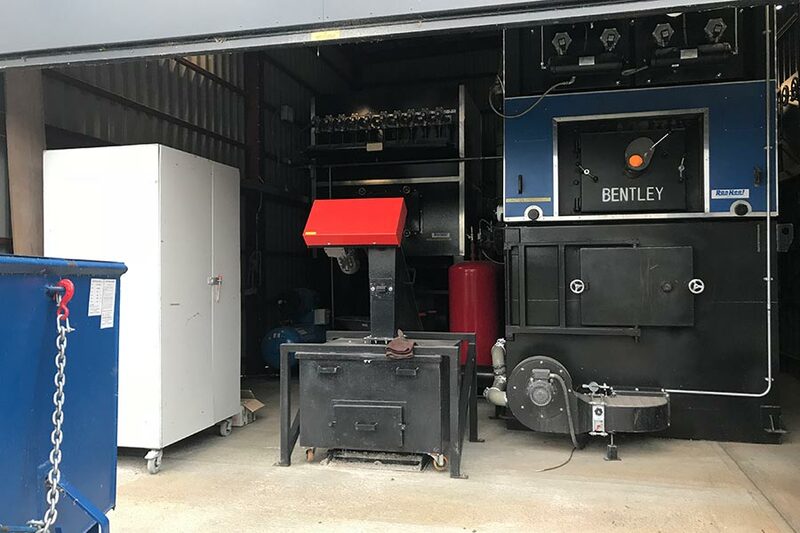 The state-of-the-art boiler can produce up to 980KW an hour, making it the size of 35 domestic boilers, and will provide heating for the whole factory as well as heating the spray booths and presses. It will be powered using wood off-cuts and can burn up to 450 tonnes of waste wood each year which, it is estimated, will save 52 tonnes of carbon emissions a year. Approximately one third of the cost of the new boiler upgrade, was the brand-new ceramic air filtration system. This will cut down on emissions from the wood fired boiler to ensure it doesn’t negatively affect the air quality around the factory. We’ve also upgraded our dust extraction systems to the Inteliair™ Intelligent Air Control System, which intelligently links the two dust extraction units with our machinery to control their use more effectively. The Inteliair system automatically and constantly monitors data using sensors on our machines and is able to switch on the dust extraction units exactly and only when required. Previously, we had to have the dust extraction system working at full pace all day, every day – whether it was specifically needed or not. This was a huge drain on our power systems, using around 55KW per hour or 190,000KW per year. As well as reducing our carbon footprint and improving the air quality within the factory, we’ve calculated that the new system will save us about £10,000 a year in running costs and, more importantly, 85,000KW in electricity usage annually.